The premise for R1 LBS is a simple one: to be BIG, you need to go BIG. 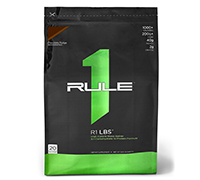 With over 1,000 calories, a 200-gram complex carb blend, and 40 grams of protein from three types of whey, R1 LBS is large and in charge. In addition to a 5:1 carb to protein ratio, this calorie-packed formula provides added creatine, MCTs, and glutamine to help you achieve your most SIZEable aspirations. Tasty Shakes: Mix two (2) scoops of R1 LBS™ with approx. 18-20 oz. of water, milk or your favorite beverage in a shaker cup or glass with a spoon. 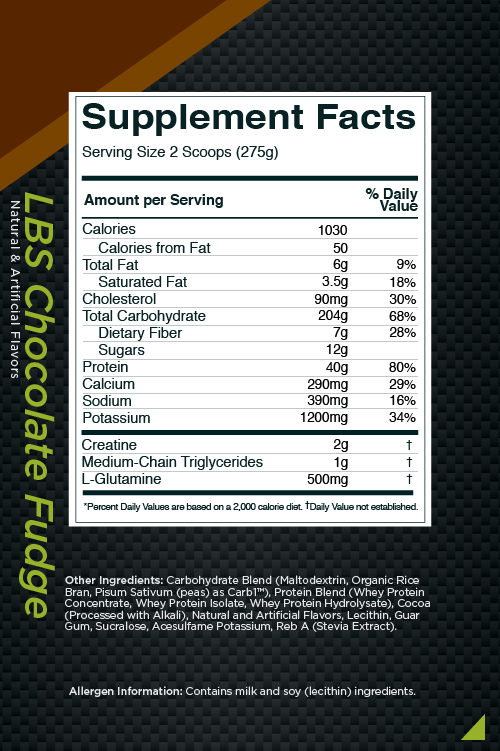 Calorie Dense Shake: Add to blender, one (1) serving of R1 LBS™, 18-20 oz. of whole milk, 2 scoops of ice cream, blend and enjoy!